Diswcover is NetSuite CRM is the most powerful customer relationship management solution for your business. Is NetSuite CRM the solution if you’re looking for a more efficient way to manage and grow your business? Can NetSuite CRM make a difference to both you and your company? Whether you are looking for a free version to fit in with your budget or a simple one that is designed for small businesses – don’t worry and keep reading as there will be a CRM software that is right for you. Sounds simple, doesn’t it? Well, for some maybe, but for others setting up the necessary techie stuff can be a huge stumbling block and stops them before they have even begun. Well, this review is for everyone – from beginners or those who possess limited techie knowledge, to those who feel completely overwhelmed with all the CRM Software that is currently available on today’s market. It really can be quite confusing!! In this review, we will look at the features and benefits that NetSuite offers so that you have a better understanding of how it works and whether it is the perfect CRM software for both you and your business. So, without further ado, let’s get on with it!! I will put NetSuite through our rigorous testing and will look at the following aspects. Performance: How does NetSuite perform and what features do they offer to help create the perfect CRM? Usability: Does NetSuite offer everything necessary that users expect from CRM software? Support: Does NetSuite offer quick customer support solutions and help, and can you count on them when it matters most? Cost : Does NetSuite offer the best pricing in the marketplace? AND more importantly, what deals are available that can help you save money? NetSuite is a great CRM for B2B, sales automation, and lead generation. ​NetSuite is definitely a pricey option for a CRM. ​Most of the time NetSuite was fairly easy to use, however, some of the processes were confusing. ​NetSuite offers multiple support channels with quick responses. Is NetSuite the right CRM for you? 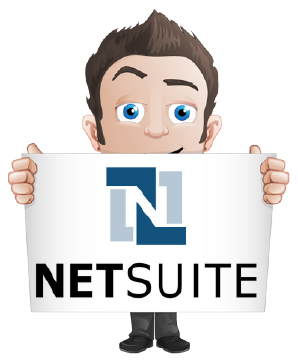 NetSuite was founded by Ted Needleman in 1999 and is classed as one of the pioneers of cloud-deployed software. 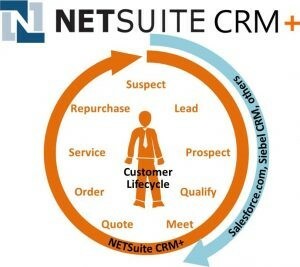 NetSuite is a cloud-based CRM that offer full 360-degree visibility of customer and account details. It seamlessly integrates all aspects of your sales channel and marketing and easily enables you to track and report on each area. With multiple applications for businesses, it can soon take a good chunk out of your business bank account. But this may be worth it for you! In this review, you will be given an overview of all the basic information you need to know about the NetSuite CRM. I will give you all the facts about NetSuite’s features and benefits that will be used in your sales and marketing efforts. NetSuite has all the basic CRM features PLUS additional functions and capabilities that make it a powerful marketing tool. Its features include e-commerce, sales force, and marketing automation, plus marketing analytics that will interpret all the data you have gathered. Additionally, there is a feature for Partner Relationship Management, and of course, Customer Service Management. I will outline the Pros and Cons of NetSuite. This is the critical information you need when deciding on which CRM best suits you and your business. Everything I write is to help you to weigh up the odds and compare to other CRMs you may be considering. Thousands of businesses from different niches have already benefitted from the NetSuite CRM and its features. Any business, start-ups, small, medium or large can all benefit from the features of this software. In this section, you will learn about some of the most used features that NetSuite offers to help you automate your marketing and grow your business. Nothing is more valuable than having a complete overview of all aspects of your customers. When contacting a customer, an easy search will show you all their contact information, supporting correspondences, history of interactions and activities, and their delivery status. You will be able to service your customers quickly and efficiently as each one has their individual profile with all their information on ONE page. You will be ready and feel confident to invest in a once in a lifetime opportunity that comes your way because you have accurate sales forecasts to support your decisions. 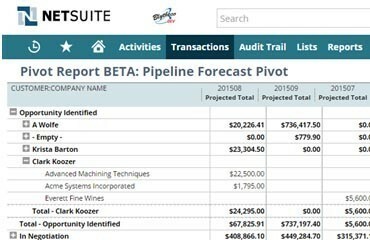 NetSuite’s sales forecasting feature can predict sales based on real-time data and regular checking and balancing. You don’t have to know complicated mathematics to understand the triangulating of sales forecasts and get major insights. Grab that opportunity and believe the sales forecast. By doing so, there is a high chance you’ll get a significant positive impact. Time is Money… More Time Means More Money. 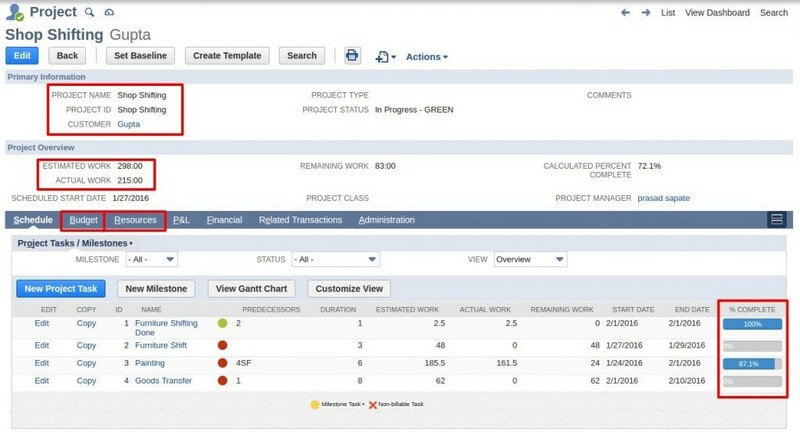 NetSuite knows this… as it shows in their CRM system. Everyone in your team can give more value to productive time as it is clearly tracked for all your staff. The tracked time can be directed towards the value of your leads, customers, and clients. Again, the more time is spent on a customer, the higher the value and greater the return you can get from them. Part of NetSuite CRM is the marketing automation tools campaign management; this allows you to create marketing campaigns that are based on solid data rather than hunches. You will have access to a wide range of information about your customers, including demographics, response patterns, purchase trends and support history, you can ensure that your marketing campaigns are optimized for the best results. Take advantage of an email marketing solution the CRM system offers where you can send and receive emails from your contacts. You don’t have to go to your browser to open or send your emails. As far as I’m aware, all the businesses that use NetSuite CRM have integrated their personal and business emails into the system. YES – everything you send and receive in your business or personal email boxes can be synced with your CRM system to be analyzed in your analytics. These interactions will be stored in that contact’s individual profile. NetSuite will do it all for you, without any action on your part. If you were having a hard time writing compelling sales copy NetSuite can help you produce persuasive content for your target market. Not all CRMs have this feature. The incentive compensation feature gives you full sales force visibility where you will have an overview of your up-to-date sales incentives. In addition, this data can be fully automated using key processes like commission calculations and closed sales flow organization. Because of this unique feature, you can be confident that any error in your sales incentives is kept to a minimum. A unique feature and benefit of NetSuite is the ability to give direct access to the data you need. Even in those times when you need to make a quick ‘make or break’ decision, you can have a quick look in your CRM to decide on how to maximize a rare sales opportunity. NetSuite manages data in a structured manner where only the minimum effort is required from you to navigate your way through the system. NetSuite is the PA/secretary you’ve always wanted. It can organize your contacts, schedule your meetings, record your meetings, and categorize all the activities related to your products and services. Having all your leads in a spot-on order is basically what NetSuite does. But not only that, it also aligns your leads with your sales and marketing campaigns. 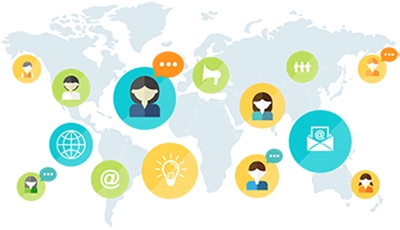 This is how you can manage your lead generation. First, you receive a new lead capture, from any of your channels. Then, with follow-ups, it becomes a sales opportunity, warming them up into a paying customer. ​You’ll know each of your customer’s status and place in their sales journey. View all these details in the individual profiles of the customers. This means you can have a personalized approach when communicating with them. 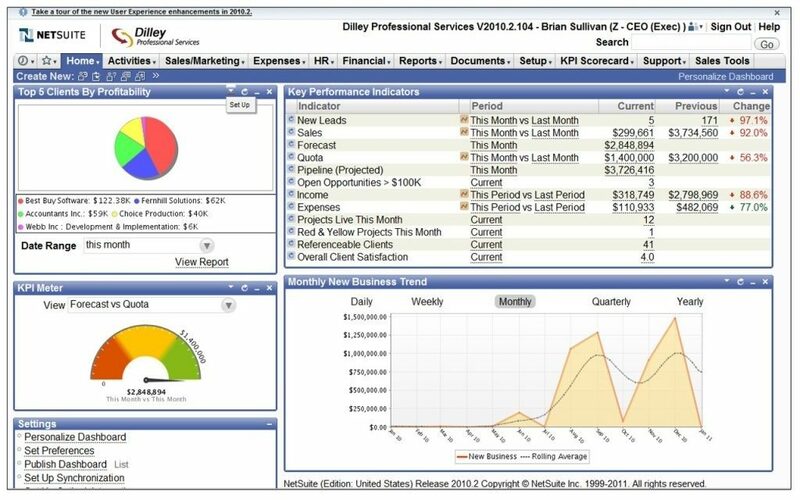 No CRM is complete without a real-time Dashboard you can access. 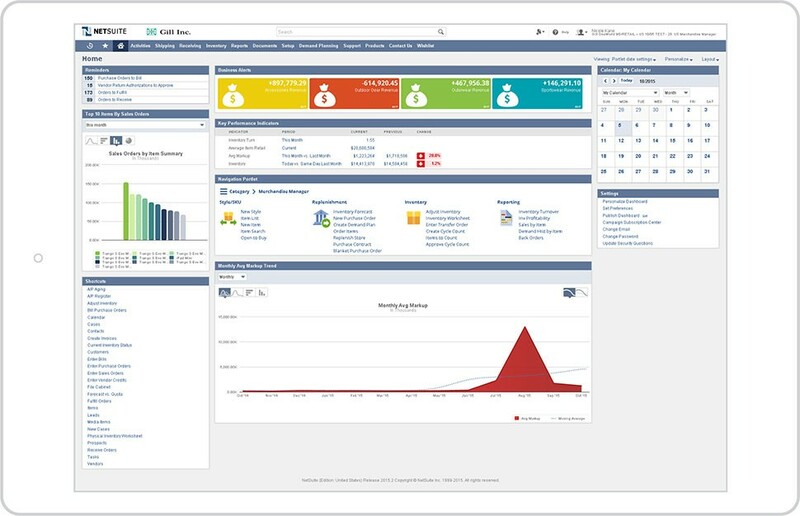 NetSuite offers you a Dashboard that allows you to take control and be fully in charge of your business. Plus, you can customize its settings and look to fit not only your business but also your personality. Your team can also have their own personalized Dashboard, where they can choose to see only the data that will help them with their roles. Know every nook and cranny of the sale and marketing aspects of your business. Be fully aware of what is happening with your customer service, the number of customer problems solved, volumes of the call. See clear stats where you can explore new opportunities and give your response through an unwavering email campaign. Oh, did I mention that NetSuite is Cloud-based? NetSuite’s Cloud-based technology lets you safely store all your files from any device and update it with your system at any time and from anywhere. You will never miss a thing because your data will ALWAYS be up-to-date – perfect!! Verdict: NetSuite provides a whole host of features that will ensure that you have a complete overview of your customers. The software is a huge piece of kit and can do so much; it takes time to learn and time to automate your business process. As long as you can accept this and be prepared, you’ll be ok. In this section, we will look at how to navigate around NetSuite together with what help and support are available. 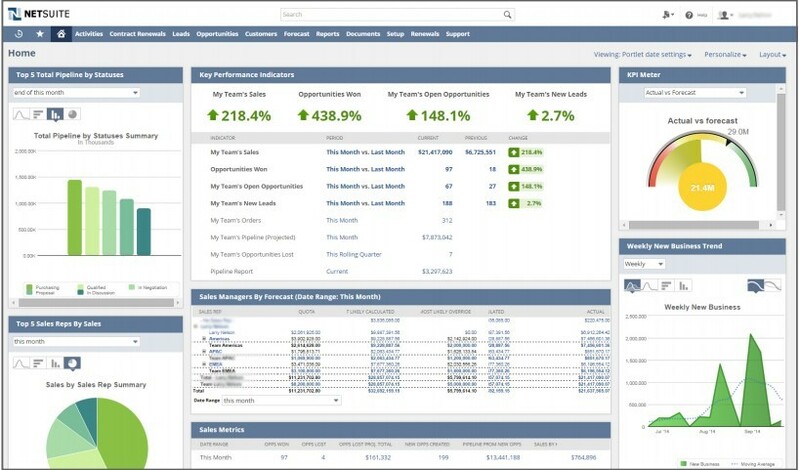 You can navigate through NetSuite’s dashboard intuitively without getting confused and lost, as its interface is easy to understand and clean. NetSuite offers various types of support including email, training videos and via phone which all offered fairly quick response times. Back in 2007, NetSuite began the process of moving most of their customer support to Makati City, Manila, the Philippines. Now, we all know that offshore helpdesk support isn’t anything new and generally the Philippine organizations often run very successful help desk operations; however, it has been noted that for some NetSuite customers poor support has been one of their frustrations. Verdict: Although most areas of NetSuite were fairly easy to navigate there were some processes that were difficult to understand. The support that is available is varied and generally good, however, after this was moved offshore is has taken a downward spiral. In today’s digital world, it really is important to have a CRM that is mobile responsive. In this section, we will look at NetSuite’s mobile app functionality and see if it really does extend productivity and collaboration beyond just the workplace. NetSuite is able to provide your mobile workforce with intuitive tools that allow them the capability to be easily able to upload and access any important data that they may need outside of the office. NetSuite includes mobile apps for both Android and iPhone users and is more than meeting its customer’s demands for access to ERP capabilities. Also, the Suite Cloud development platform allows you to modify the mobile applications to suit your business needs, while Suite Cloud’s Developer Network partners complementary mobile solutions allow you to spread mobile functionality across areas including sales and warehousing and field service – irrespective of which mobile platform your company uses. 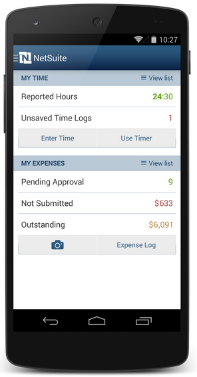 The NetSuite app for the iPhone is a native application and is accessible via a free download from the Apple App Store. What it does, is allow business users on-the-go personalized and complete access to the NetSuite integrated business management suite. Included is dashboard synchronization of scorecards and graphs, KPI metrics together with complete record support which includes modification and creation. Business can be conducted on the hoof, which also includes estimate conversions, sales order approvals, billings and loads more. What NetSuite has done is taken mobility and raised it to the next level. NetSuite’s iPhone app also offers integration with the Apple Watch, which means that just by glancing down you will be able to see key alerts, anywhere, anytime. 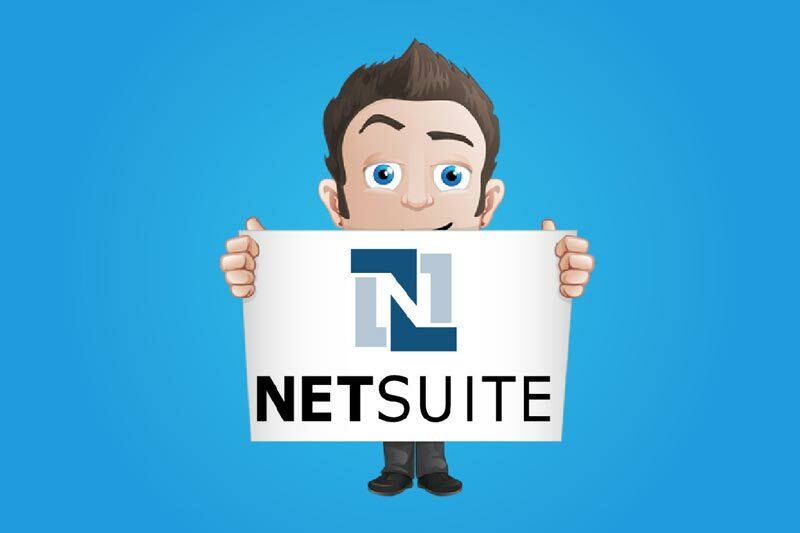 The NetSuite app for Android is a native application and is available via Google Play as a free download. Again, it provides business users personalized and complete access to NetSuite’s integrated business management suite while on the hoof. Included is dashboard synchronization of scorecards and graphs, KPI metrics together with complete record support which includes estimate conversions, sales order approvals, billings and shed load more. What SuitePhone does is increase mobile user productivity via a desktop-caliber experience – while on the go and which delivers NetSuite functionality from all Android, iOS or Windows mobile device. By using SuitePhone those using an iPad, iPhone, Windows, Nexus or other smartphone or tables are able to perform key tasks in NetSuite including checking forecasts, managing leads, creating expense reports and generating quotes and orders. Business performance can be improved through the use of role-based dashboards and real-time metrics. Maximize the effectiveness and productivity of your sales reps by the use of real-time data. With a 360-degree view of your customer, you will be able to improve your service everywhere and anytime. Allow out of office resolution via mobile devices. Verdict: NetSuite did a perfect job in providing intuitive tools for mobile workforces to enable them to easily and quickly upload any important data while on the move. Third-party integrations and add-ons can make running a business much easier as they integrate with programmes and services that are already being used and automatically share data between systems in real time. It is always important to look at what features are included with your specific subscription as well as those that require a third-party add-on. In this section, we will look at what apps, services, add-ons, and campaigns NetSuite offers. Do they live up to expectations or are they as useful as a chocolate teapot? NetSuite does offer a flexible and deep functionality that meets an assortment of needs. But, as new applications are continually emerging and in turn extending the business process improvement into loads more areas of wholesale business, those using NetSuite may be questioning the possibility of integrating NetSuite with certain third-party applications. As per its competitor Oracle, NetSuite has ‘productized’ how it approaches extensions and application integration. It offers SuiteFlex, which is a technology platform which provides the tools, which allows partners, customers, and developers to adopt NetSuite to their specific needs. SuiteTalk – This is a web service integration tool which enables NetSuite to be integrated with third-party applications and legacy systems. It enables developers to use any kind of programming platform or language that supports the SOAP standard, to generate NetSuite business objects in that specific language like that of Microsoft.NET or Java. NetSuite also offers a rather cool library of Application Programming Interfaces for specific third-party applications which are both maintained and supported by NetSuite. Even though third-party integrations are very well supported by NetSuite and are able to be performed by development partners or clients using standard-based common tools, this doesn’t mean that a specific integration will be hassle-free. Mistakes can be costly if any changes that you make affect financial or important client information. Also, any software integrations such as a services software one (SaaS) must always be developed keeping in mind future upgrades. The bottom line is, that if your business doesn’t have a very clear understanding of what is trying to be accomplished together with substantial business process improvement experience and a good understanding of SaaS and Java development, let’s just say that the water could become very hot. So, in order to avoid any issues, if you are a business that doesn’t have this experience, then I would recommend using a supported API or to work with a development partner rather than going solo. What exactly are your business needs – what are you wanting the integration to allow you to do? What type of NetSuite application are you currently running? 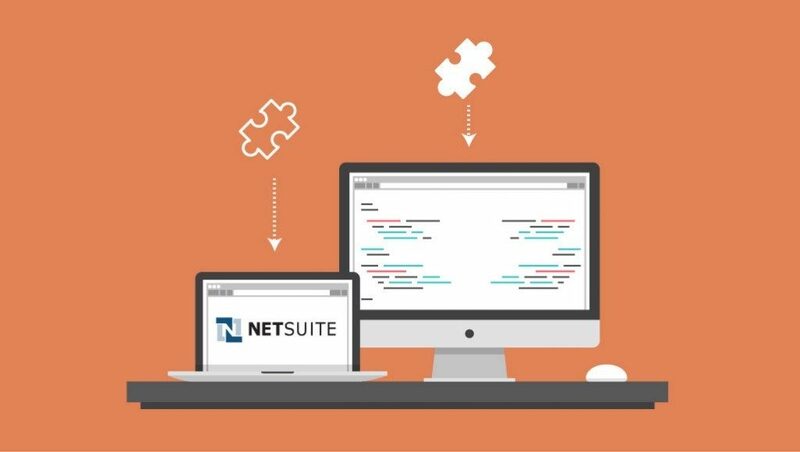 Does SuiteTalk have a NetSuite supported API for the application that you are hoping to integrate? Is there a supported integration tool that is offered by a NetSuite developer partner, or an interface via a third-party vendor? If there are no integration tools available, do you have experts available in SaaS integration or Java development? Has your business either customized or modified NetSuite in a way that could have an impact on your integration plans? However, I will repeat what I said earlier, and that is that for small businesses that may be lacking experience with Java development or SaaS integration, you are most likely better off outsourcing the more complex integration development. Verdict: NetSuite does support application integration – and very well too. It can either be done via an application vendor, a client organization or a development partner, as in most cases with NetSuite supported tools. Once you have been using CRM management to manage your deals and leads, you will want to see how successful you’ve been together with the areas that perhaps need improving on. Look for software that includes reporting features, especially ones that can be customized so that you can see what types of customers and responding and how employees are performing. So, keeping that in mind, let’s have a look at what analytics and reports that NetSuite offers to ensure that you can always be kept in the loop. To tell you honestly… I’m not a big fan of numbers. But NetSuite gave me the solution where I only deal with charts and statistics that are easy to read and understand. I’ve learned to love reporting and analytics the moment I saw them. It was seeing the reports and key performance indicators that made me instantly realize I could use them for the good of my business. I knew these numbers are important to me. What’s the significance of all this data you’ve collected? Nobody wants heaps of useless data. What good would that be? BUT the way NetSuite gathers customer and sales data it will become your business’s most valued treasures. They are the precious jewels coming from a mining field… when sharpened, these once dull stones are turned into shiny charms that you can use to make attractive marketing campaigns, or strong lead generation strategies, and precise sales forecasts. NetSuite lessens the burden of the business owner and the sales team by easily communicating tasks, workflow, and progress reports. Make use of its group calendar, viewable by all team members; they will see what tasks are under their name. Accomplished tasks by your team will also be showcased in the calendar. Verdict: NetSuite helps you to easily gather sales and customer data and helps to easily communicate tasks, progress reports, and workflows, to ease the burden of business owners. Remember, NetSuite may not be the right CRM for everyone, so let’s try to get down to who precisely this tool is going to be suitable for. NetSuite isn’t suited to those on a budget or who are watching the pennies as it does come in as rather costly compared with other CRM’s that I have reviewed. The number of product add-ons which necessitate additional fee, combined with knowing when the add-ons are actually required is definitely not straightforward. NetSuite probably isn’t the easiest CRM for beginners because at first it is not intuitive and does require a fair bit of training to navigate your way around it. I also found that some of the permissions were confusing. NetSuite is a good match for high-level marketers – and for those that have the extra money to spend. It is a dynamic platform which offers a wide array of functionalities and uses. It is, however, a detailed system and is most suited to those with computer knowledge. Well, that’s it. I’m now nearing towards the end of this review, and I hope that it has given you an overall idea what NetSuite has to offer. 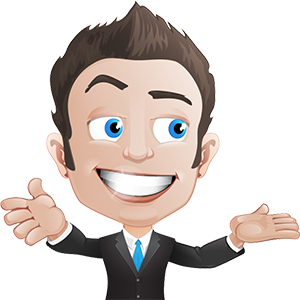 I’m guessing that the final and most important question is – Is it THE ONE, I mean the CRM for YOU and your WEBSITE? NetSuite CRM is a comprehensive CRM platform that combines advance and traditional capabilities in order to help businesses to drive both their growth and revenue. It includes a set of robust features which include e-commerce, automation, partner relationship management, data management and marketing analytics – to name but a few. NetSuite CRM allows you to track all activities that both your visitors and clients make to your website as well as import all their data into the system. So, even if you don’t recover personal client information, what NetSuite does is records all the cyber paths that they take, which also include the pages that they view and the links that they click on. This data is then distributed to the sales team who are then able to use the information for lead generation, marketing campaigns, and sales forecasts. The software also gives companies the capability to monitor their employee’s productivity by tracking their task-completion ratio, workflow and progress reports. Also incorporated in NetSuite CRM is a group calendar, which is a superb place for team members to keep an eye on their to-do lists as well as display their accomplishments once completed.